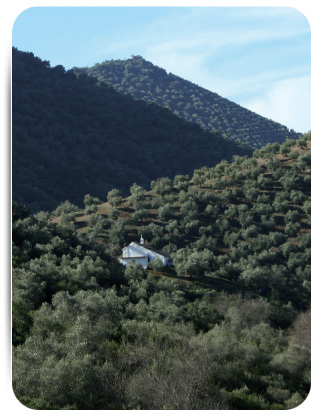 To the north of the Guadalquivir river stand olive trees full of history that envelop the Cordoban Sierra Morena, spreading out across a series of mountains, valleys and slopes, The Land of Extra Virgin which has concentrated the essence of its natural surroundings. In Roman Times the oil from this region was sent to Rome as part of what were then known as “oils from Baetica”, Baetica being one of the Roman regions. It was transported by water, along the Guadalquivir River. The oil mills of the Sierra de Adamuz y Montoro Mountain Range, which used beam presses and saw their heyday in the nineteenth century, are one of the greatest industrial archaeology assets in the province of Córdoba. At the end of the 19th century, oils from Montoro Adamuz gained prestige thanks to the different companies in the region marketing them, both nationallyand internationally, through entering them for and winning competitions at different Universal Exhibitions. 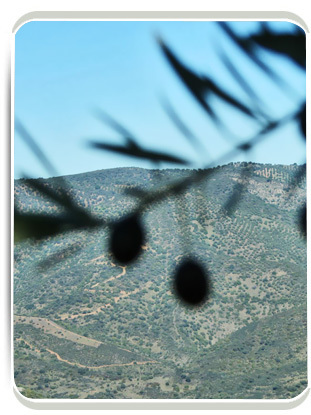 There are many publications by authors andresearchers highlighting the excellence of the olive groves and the magnificent quality of the oils from Sierra de Montoro Adamuz, which are classified as”superior and select”. When it comes to offering an overview of the evolution of the D.O. Montoro-Adamuz olive grove, from the end of the Middle Ages to the start of the 19thcentury, we inevitably have to look at the bibliographic-documentary contributions from medieval times. From the 15th century we find references relatingto the area, figures about the collection of tithings in the city of Montoro in the 8th and 9th decades of the 15th century. In the work and study carried out by Criado Hoyo in 1932, he refers to the agricultural campaign undertaken by the Catholic Kings, highlighting thecommitment of these monarchs to promoting the trade in olive oil in the area of the Designation of Origin. In 1550 there is reference to the existence ofolive groves in Villaviciosa de Córdoba, planted by the Hieronymite monks, and clear evidence of the cultivation of olive trees across the entire districtfrom the early 16th century is the Royal Charters of authorisation; “The Royal Charter of 1526, from King Carlos I of Spain and V of Germany: Through whichthe lands of Adamuz were given to the farmers who cleaned, ploughed and cultivated them, so that the town did not become depopulated, in the early 16thcentury”. However, the first evidence of the use of the name “Montoro-Adamuz” in the region is found in the 19th century. In the treatise of the Indispensable guideto Córdoba and its Province from the year 1875, by Yodob Asiul, it speaks of the destinations of the oils made in this district. According to thisresearcher, when looking at the town of Adamuz he says; “…that the harvest of oils was abundant and those from Montoro and Adamuz, which are the best,are taken through Extremadura to the North of Spain and France”. Diploma of Honour, with a Gold Medal, for excellent virgin oils at the International Hygiene Exhibition held in Madrid in 1907. Award of Honour and Gold Medal at the International Exhibition in Buenos Aires held in 1911. Gold Medal won at the Ibero-American Universal Exhibition in Seville in 1929. Grand Prize at the Exhibition of oils from the Province of Córdoba in 1943. 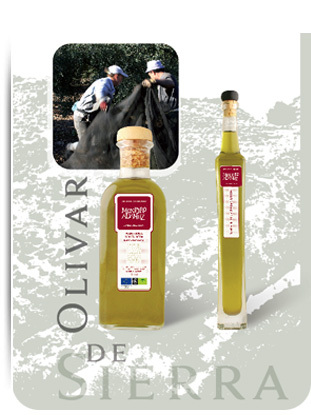 Silver Medal awarded to the “Hilo de Oro” brand for the high quality of the sample of pure olive oil submitted by Francés y CIA. At the International Country Fair run by the National Union of Olives in 1959. During the second half of the 19th century the oils from Montoro Adamuz entered foreign markets. We can see this from the fact that in the UniversalExhibition of Philadelphia in 1876, oils from Montoro and Adamuz were displayed in the Official Catalogue of the United States Centennial Commission. Theywere also present in the Universal Exhibition of Paris in 1867. In addition, at the end of the 19th century, the Carbonell family arrived in Córdoba from Alcoy and founded a company in this city that would be the seedfor some of the most important oil companies in the world. 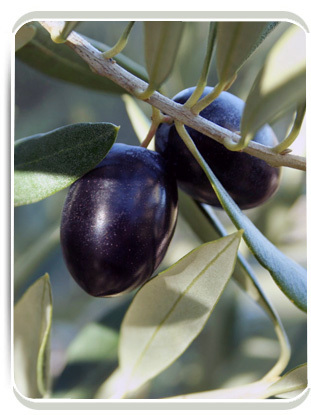 Mr. Carlos Carbonell y Morand, founder of the Provincial Chamber of Commerce, set his sights onthe olive grove plantations of Adamuz and his company purchased a significant number of olive groves in the municipal district with a cellar for oil or anoil mill. After a modernisation process, these produced magnificent oils which were sold to countries within Europe, such as Russia and Sweden. Some itemswere sent to America and in 1906 there were even exports to China. Gold Medal achieved at the Universal Exhibition in Barcelona in 1888 for olive oils. Gold Medal at the Paris exhibition in 1889. Gold Medal at the Universal Exhibition in Paris in 1900. Diploma of the Grand Prize of Honour of the Argentinian Republic in 1911. In the 20th century, once the civil war had ended, new joint marketing initiatives for the “Montoro-Adamuz” oils were once again launched. Large mills andoil presses were installed which milled the oil produced across the entire district. Distributed around the different municipal areas were olive purchasingposts. The trade was still dominated by the Carbonell Company which had set up in the facilities of the company Francés y Cía, which continued to sell andexport “Montoro-Adamuz” oils. There are other examples such as the “Industria Aceitera de Montoro” and the “Los Mainez” Oil and Soap Factory in Adamuz. 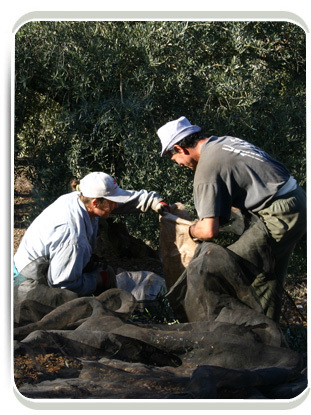 At the end of the 20th century the olive growers, who wanted to join forces and achieve a greater return from their olive groves, created the CooperativasAgrícolas Olivareras (Agricultural Olive-Producer Cooperative) in all the municipal areas of the district (SCA Agrícola Ntra. Madre del Sol, SCA. Olivarerade Montoro, SCA Olivarera Ntra. Sra. del Merced, SCA Olivarera del Guadiato, SCA del Campo San Antonio Abad, SCA Olivarera San Rafael, SCA OlivareraSantiago) for the preparation, processing and marketing of the product. In 1980, all the cooperatives in the region merged to form a higher level Group of Cooperatives who jointly marketed “Montoro-Adamuz” oil with differentformats and brands, and which today are still sold under the same label with the brand of the Hojiblanca Group, Cordoliva Selección DO Montoro-Adamuz.